﻿Our Single Point Elastic Cord V-Sling creates a single connection point centered on the chest. 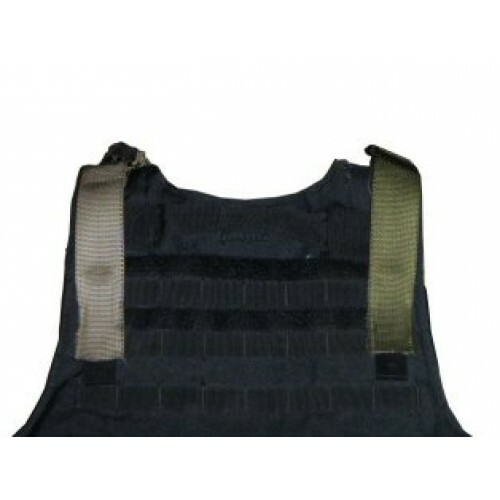 This sling mounts to a vest or body armor with either trigger snaps or MOLLE attachments. Mid-chest location allows for easy transition to either shoulder and weapon will hang centered when going hands free. 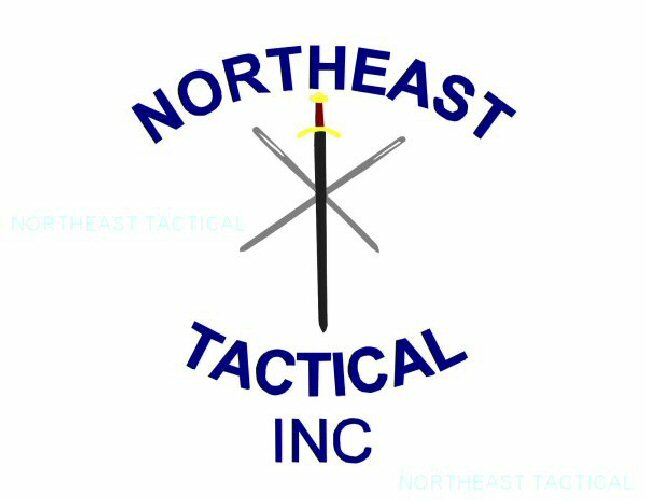 Weapon transition to side of body will be limited with this design. Standard trigger snap connection allows easy mounting and dismounting of weapon. Swiveling trigger snap helps limit torque on the weapon and sling. 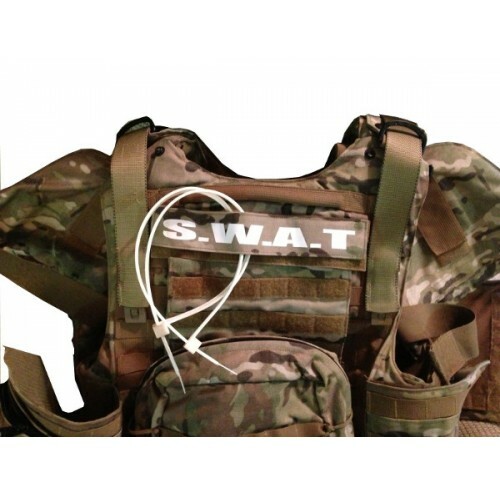 V-Sling with trigger snap connector mounts to vest or body armor using shoulder mounted rings. 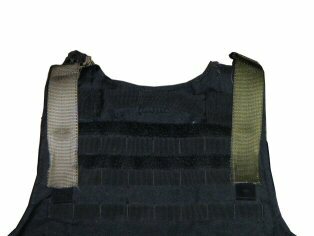 The vest must have adequate connectors to hold the weight of the weapon. Trigger snaps allow quick but secure attachment to rings. 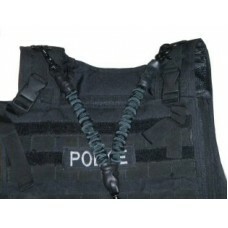 V-Sling MOLLE attached to the rear of the vest or body armor with MOLLE webbing. Only the lower section of webbing is attached, allowing some movement of the upper section. 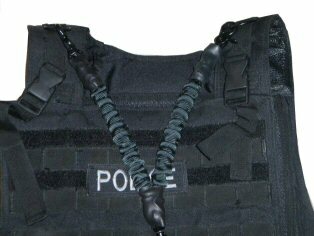 Longer webbing sections help distribute the weapon weight over a larger area and limits elastic section near neck.